Making musical instruments is one of the most satisfying craft skills I have encountered. You make them then play them! 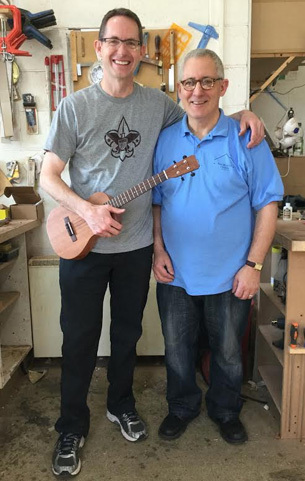 At The International Ukulele Building School I offer courses in a beautiful setting on the edge of the Snowdonia National Park in North Wales, UK. My international reputation as a builder and teacher will ensure you a rewarding and unforgettable time in my workshop. Please browse the website to find a course to fit your budget and interests. You might also want to visit my YouTube channel to see some of my work and that of former students.